The new TauRIS®-S2 electronic pigeon ring is a further development of its predecessor TauRIS®-S. Equipped with all the features of the TauRIS®-S, the TauRIS®-S2 functions perfectly with all loft system sensors without any need for retrofitting. The new TauRIS®-S2 electronic pigeon ring is taking over from the TauRIS® 2000 electronic ring. It is smaller, lighter, better and features additional data storage. 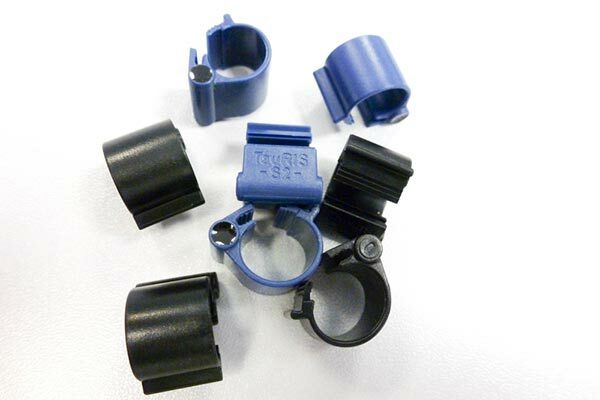 It is highly tamper-resistant and perfectly compatible with the TauRIS® sensors. The TauRIS®-S2 achieves maximum reading distances and thus maximum reliability. Like the TauRIS® systems, the TauRIS®-S2 ring meets the highest quality standards. Exceptionally reliable, it is the perfect ring for your pigeons and the ultimate in reliable clocking. The TauRIS®-S electronic pigeon ring has all the features of the TauRIS®-S2. The difference is that older sensors in loft systems do not function with TauRIS®-S, meaning that they require retrofitting. Club sensor SWH or SW3 with label WS4800. Retrofitting of older Club sensors possible from 2005, with additional 2005 label. Call your dealer – we will be happy to advise you about retrofitting!